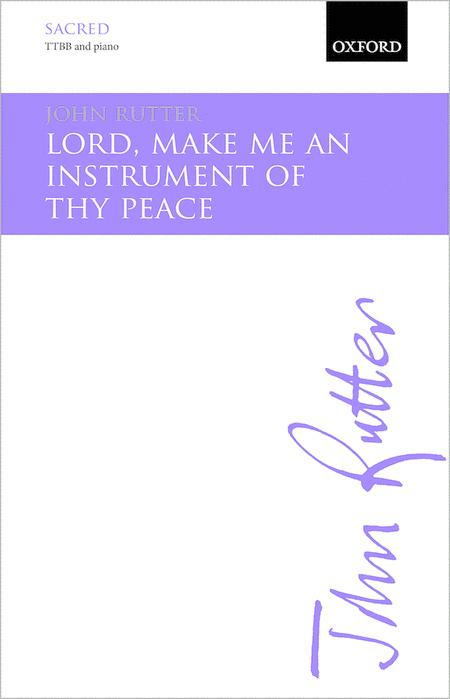 For TTBB and piano This is a poignant setting of the well-known Christian prayer for peace formerly ascribed to St Francis of Assisi. John Rutter perfectly captures the sense of compassion and contrast between light and darkness expressed in the text. Also available in a version for SATB.